An Americano might sound complicated, but it is simply hot water with espresso. Americanos were created in Italy for American soldiers in the Second World War because the drink is similar to drip coffee that's popular in the United States. To create your own Americano, use an espresso machine or aeropress to make the espresso. Slowly pour it over hot water and enjoy it immediately. You'll get the best flavor from your beans if you grind them at home. Use a very fine setting specifically for espresso. The espresso grounds should be much finer than the grounds for drip coffee. Measure out 18 to 21 grams (0.63 to 0.74 oz) (3 to 4 tablespoons) for a double shot of espresso. You can also purchase already ground espresso or buy whole beans and ask the baristas to grind it for espresso. Put the espresso grounds into a clean portafilter basket. 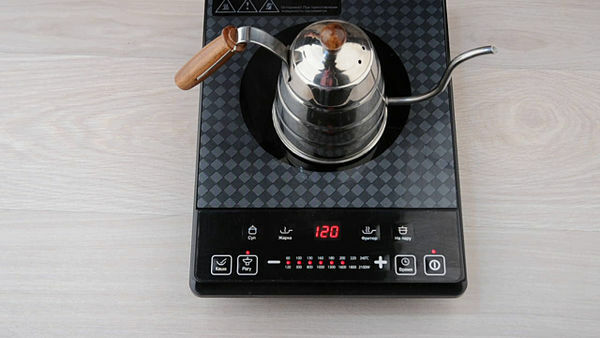 Use the tamper to evenly press down on the espresso. This will pack it firmly into the portafilter. If the espresso grounds are too loose, the espresso will run out of the machine too quickly and the flavors won't develop. Try to press down with about 30 to 40 pounds (13 to 18 kg) of pressure. Ensure that the espresso is even across the surface of the portafilter basket. Quickly turn the espresso machine's group head on and off so hot water drips right out of the machine. Do this before you put the group head with the espresso into it. This will ensure that the machine is clean and ready to go. Insert the portafilter into the group head and twist it firmly into place. As soon as you've put the espresso grounds into the machine, start the shot or the grounds may burn. Set a small cup or pitcher underneath the portafilter. It should take several seconds before any espresso begins to drip out of the spout. After a few more seconds it will really begin running out of the portafilter. You'll notice that the espresso will begin to look thin or lighter in color. At this point, you can stop pulling the espresso. The entire process should take about 23 to 28 seconds for a double shot. You can now use the espresso in your Americano. For the best flavor, try to use whole coffee beans that you can grind at home. Grind the coffee beans on a very fine setting so you get espresso grounds that are like a sandy powder. 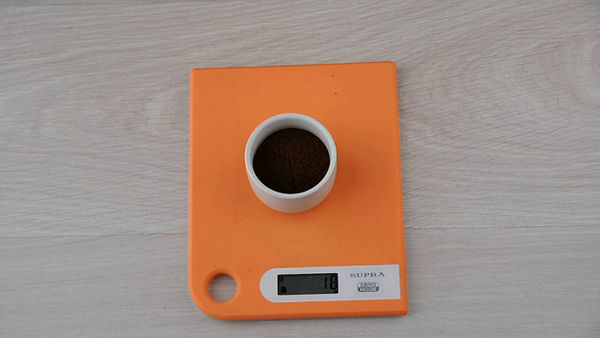 You'll need to measure out 15 to 20 grams for a double shot of espresso. Remember that you can use any type or roast of coffee bean to make espresso. It just needs to be ground for espresso. Pour fresh water into a kettle and bring it to a boil. Take a fresh paper filter and place it in the bottom of your aeropress. Pour a bit of the hot water in it to wet the filter. Discard the water that might drip through the filter into the cup. Set the aeropress over a mug and dump the espresso grounds into the aeropress. Pour hot water over the espresso grounds so the comes just above the number 2 line on the side of the aeropress. Stir the water in the aeropress and let it steep for 5 seconds. Put the plunger on the aeropress and slowly plunge down until it reaches the bottom. It should take about 30 seconds to press down completely on the plunger. Lift off the aeropress and you can use the espresso in your Americano. For a speedy Americano, just pour hot water directly over the espresso in your cup. 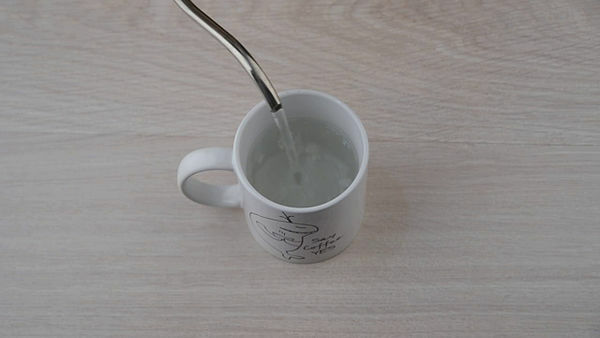 Pour fresh water into a kettle and heat the water until it boils. Try to use filtered water so that none of the impurities flavor the Americano. You can heat the water in a kettle on the stove or use an electric kettle. If you're using a kettle on the stove, give yourself enough time to bring the water to a boil since it's not as fast as the electric kettle. Fill your serving cup with as much water as you'd like. Generally, this is around 2 parts of water to 1 parts of espresso. Keep in mind that the more water you use, the weaker the Americano will be, especially if you plan on adding milk or cream. If you're serving an Americano to someone, ask if they'd like you to leave room for cream or sugar. If so, ensure that you leave space in the cup. While you could pour the espresso into the bottom of the cup before you add the water, this will destroy the rich crema of the espresso. Instead, slowly pour the espresso directly over the hot water in your serving cup. Serve the Americano immediately. To keep all of the crema intact, you can place the serving cup with hot water directly under the espresso as it drips out of the machine. You can also add syrups or flavors to the Americano. For a sweet Americano, you can even top it with whipped cream. For a seasonal switch, try an iced Americano. You won't need any hot water. Just fill a glass with ice and pour cold water over it. Slowly pour the espresso over the ice water and enjoy it. For an even stronger coffee flavor, consider making ice cubes using leftover coffee. The iced Americano won't become diluted as these coffee ice cubes melt.